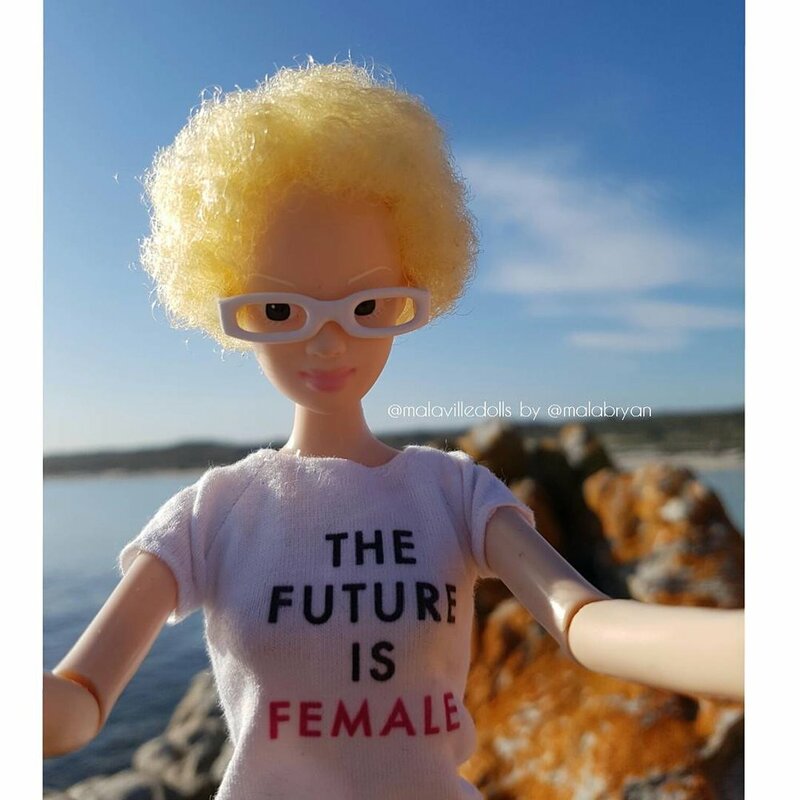 September is Albino Awareness Month in South Africa, and doll maker Mala Bryan is harnessing the power of dolls to to address the persecution of people with albinism. Beyond the now famous “doll test” which used dolls to prove a cultural bias toward to lighter skin, dolls are being used in a new way to help people move toward a more inclusive worldview. Alexa, Bryan’s newest doll, rocks a blonde TWA (teeny weeny afro), true to the hair color of people with albinism. Bryan started her collection of black and brown dolls, called Malaville, in 2015, with the goal of “inspiring creative imagination.” Her dolls’ complexions range from the honey sun kissed tone all the way to the rich midnight complexion made popular by model, Nyakim Gatwech, nicknamed Queen of the Dark. “There is so much that is going on in the world when it comes to people with albinism and it is now time for those who don’t know to get to know,” Bryan says in an interview with Huffington Post. Even though people with albinism are only different in the way of appearance, they have been victimized by numerous abuses across the continent. Last year, a teenager in South Africa, was convicted of murdering his albino girlfriend in order to sell her body parts. The case came to light after her body was found in a shallow grave. Alexa will hopefully be used to help garner compassion for people with albinism, proving once and for all that black is beautiful in all shades.